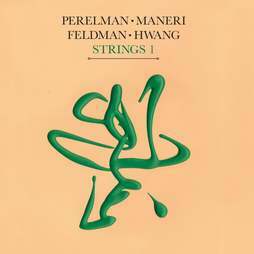 Strings 1 is the first disc in a series of recordings that will focus on Perelman's affinity for the violin family. With Mark Feldman and Jason Hwang playing violin, Mat Maneri playing viola, Ivo takes the role of a cello, and although he plays tenor saxophone he easily slips into this role. He played cello for several years before turning to saxophone and even recorded a duo CD with Joe Morris some quarter of a century ago (Leo Records, CD LR 249, Ivo Perelman duo feat. Joe Morris; Strings).